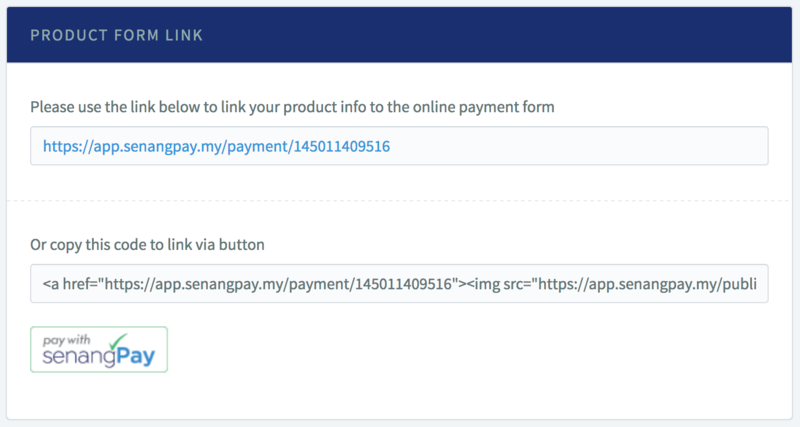 Below are the details of the process of purchasing item via senangPay. 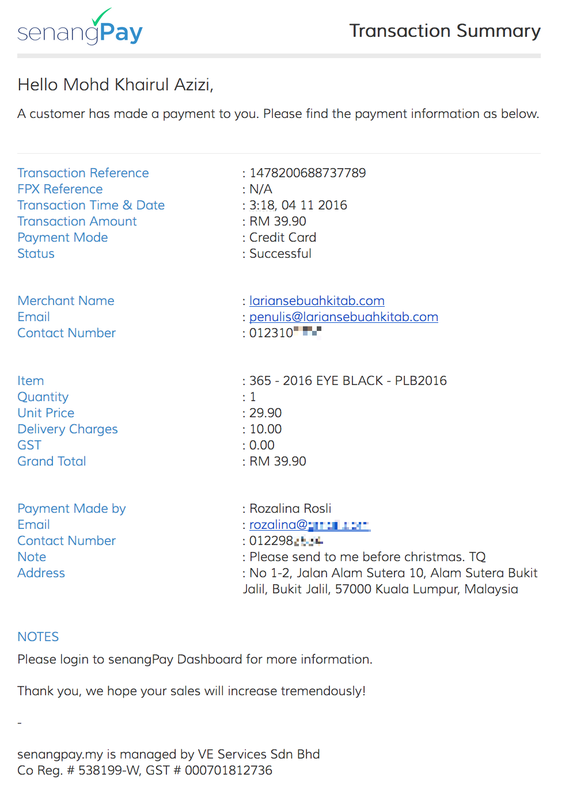 Please take note that the screenshot is a combination of what your customer sees and what you see as a senangPay merchant. 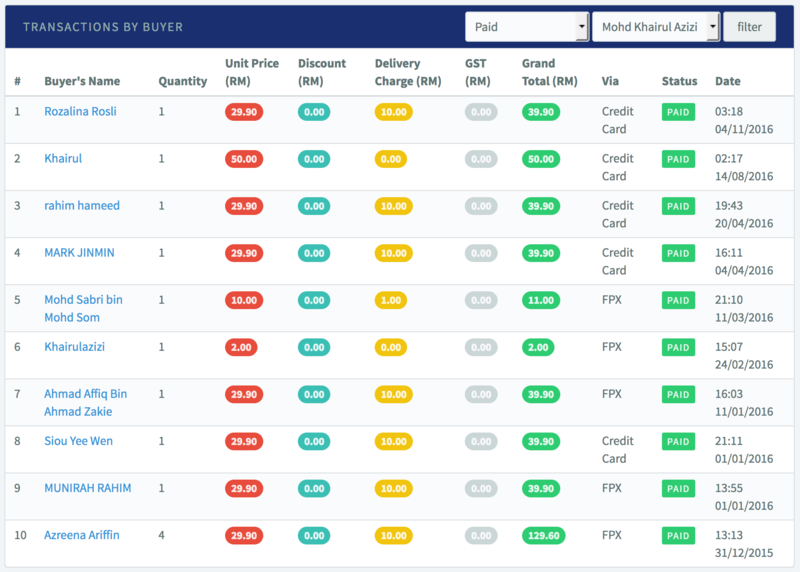 This is a process of buying product from a live merchant that is using Unique Payment Form in a WordPress Blog. 1. 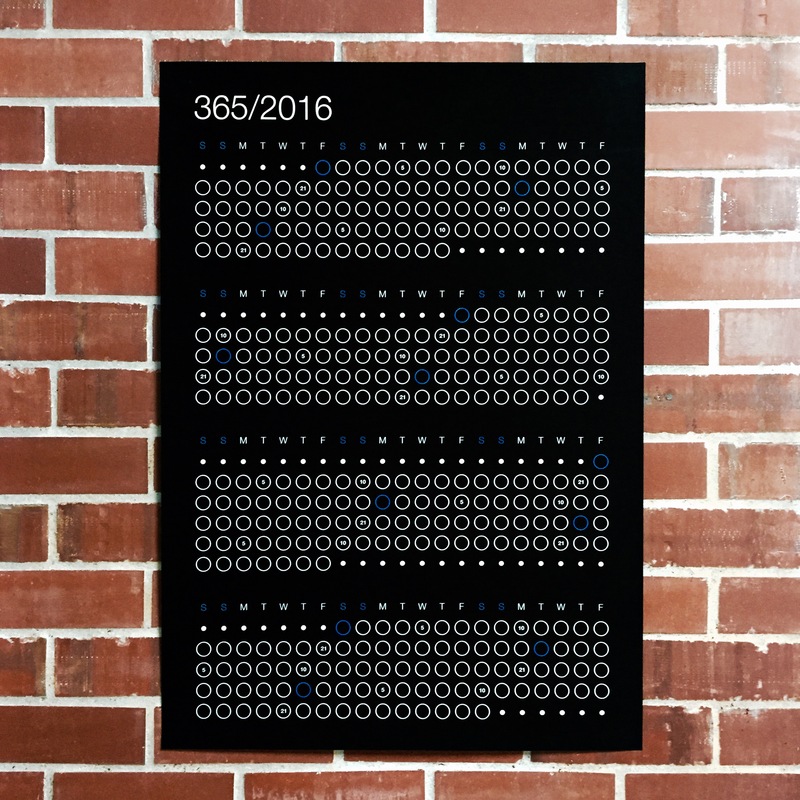 Let’s say your customer wants to buy a product, for example, a running calendar for a daily running motivation. 2. Your customer finds this through your blog / website, for example, from this real merchant lariansebuahkitab.com. Below are the screenshot of the specific page of the product. 3. Focus on the purchase segment “BUY NOW (MALAYSIA & OTHER COUNTRIES”. The Payment Button has been embedded to Wordpress Pages Blog. 4. When the customer clicks on the Payment Button, “pay with senangPay,” a payment form will appear. 5. The Payment Button is embedded by adding a HTML code that is generated by system in the dashboard upon the merchant add a product. 6. This is the Payment Form. Your customer then need to fill in all the related fields like Purchase Information, Contact Information, Delivery Address and most importantly, the Payment Detail. You can customize this Payment Form accordingly e.g. enable / disable the delivery address or the size etc. Please take note that this is a Payment Form of a Advanced Package. You can view the real Payment Form here. 6. For security reasons, your customer needs to insert OTP password to authenticate that they are the cardholder who is doing the transaction. 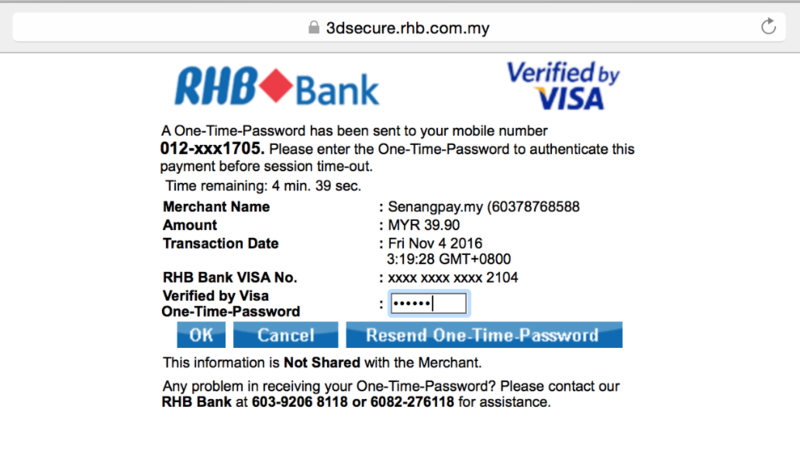 You can read the details on this at the 3D secure article. 7. 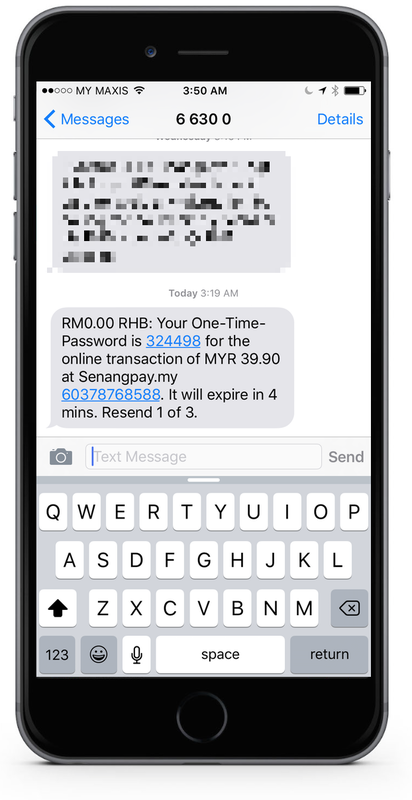 Customer needs to key in the OTP password that is sent to his / her mobile phone. 8. If the transaction is approved (successful), customer will receive another notification message. But this depends on the bank itself. Some banks do send approval notification and some not. 9. Upon a successful purchase, you will receive a notification in your email. 10. This is the detail transaction summary. 11. 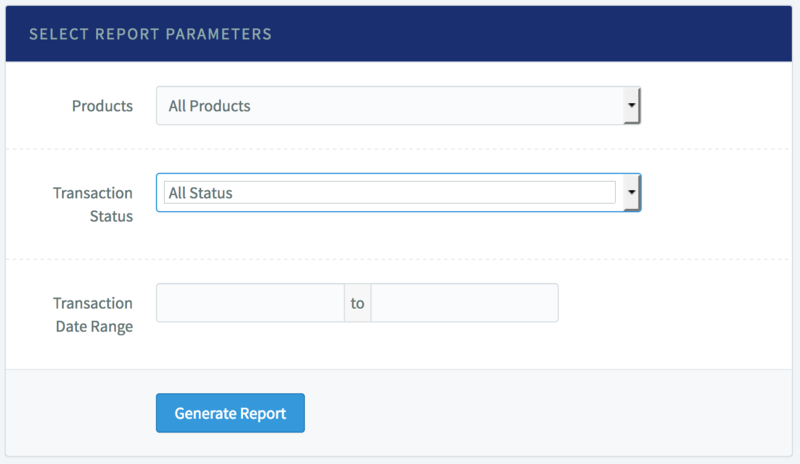 Your customer will receive a transaction summary in their email. 12. 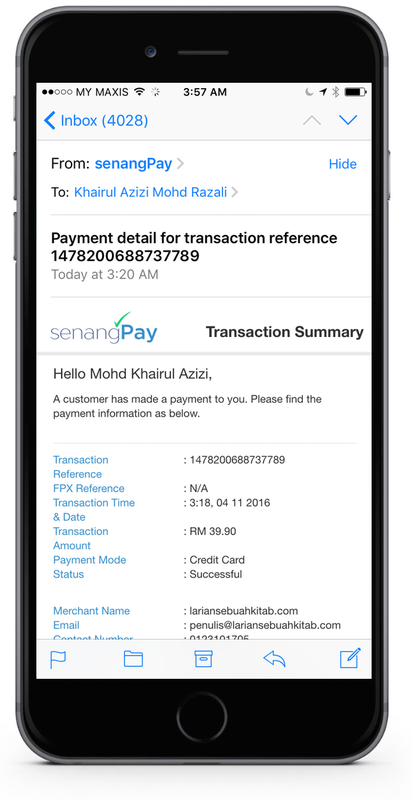 You can check the details by logging in to your senangPay Dashboard. 13. If you click on one of the “Buyer’s Names,” you will see the details of the purchased item. You can also view all the pending / failed transactions from senangPay Dasboard. Click here to read details on this matter. 14. 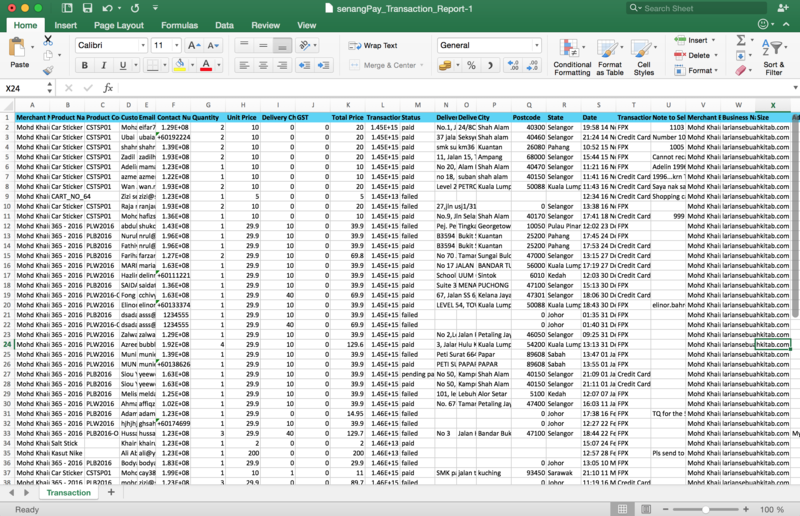 You can also download the detailed reporting of the transaction from the Dashboard. 15. The report can be opened in Microsoft Excel for Windows, Numbers from Mac or uploaded online Google Spreadsheet. 16. Next, you can start packing the item and proceed to delivery if necessary.